As most of you know, March is a month dedicated to the Francophonie. GSAÉD wishes to contribute to the promotion and enhancement of a Francophonie with a future for the French language in the context of cultural diversity. 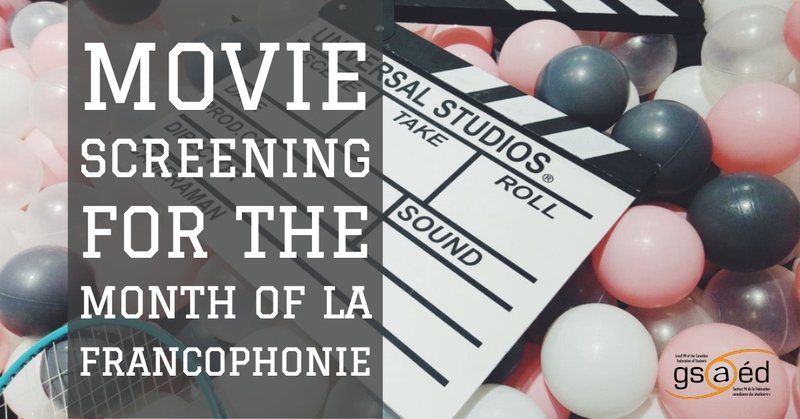 To do this, we will screen several French-language films from around the world during the month. The movies will be screened at the 2nd floor of the Grad House(601 Cumberland av.). Popcorn and sodas will be offered!